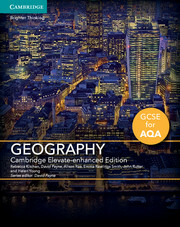 Our suite of blended print and digital resources are written specifically for the new AQA GCSE Geography qualification by an experienced author team of practising teachers and advisers. 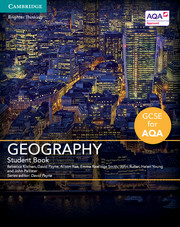 Our geography resources have a strong focus on the development of both knowledge and geographical skills, including fieldwork and decision-making skills. With progression at the heart, we provide the tools for students to become reflective, enquiring and independent learners. 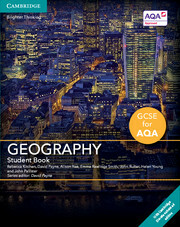 Encouraging students to ‘think like a geographer’ and to understand the relevance of geography in the real world, this new series builds on Key Stage 3 knowledge and supports the delivery of the new subject content and assessment objectives at GCSE.